The Times - The Tiny House UK "Office". Tiny homes become the next big thing. Flexible planning regulations have led to a surge of micro homes in England as developers cash in on the housing crisis. 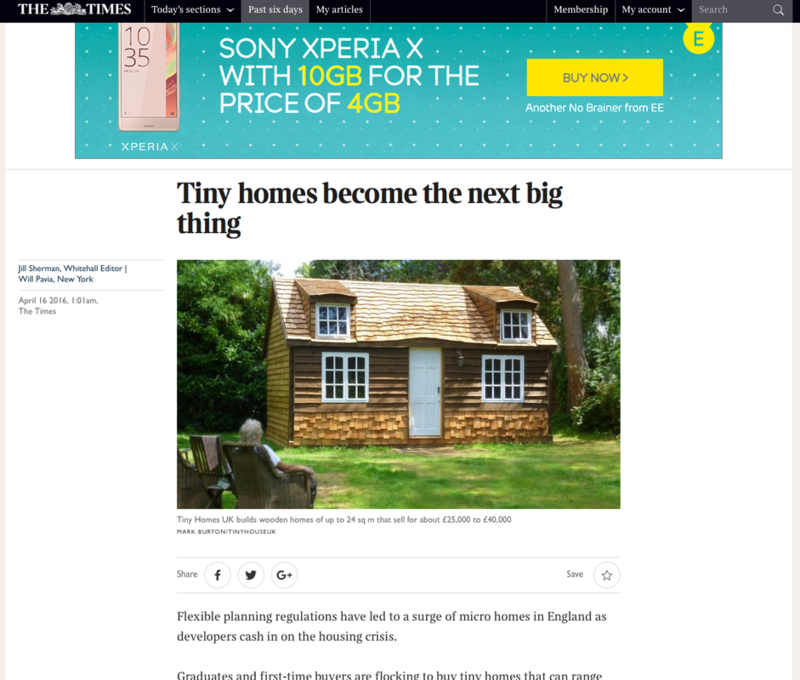 Graduates and first-time buyers are flocking to buy tiny homes that can range from 12 to 30 sq m and contain everything in one open-plan room, apart from a tiny separate bathroom. One development has even squeezed a two-bedroom flat with two shower rooms into 29 sq m.
Young professionals keen to get away from mum and dad like the low cost — less than £160,000 in central London — and think that living in a Tokyo-style capsule is pretty cool.